The specified file public://inline-images/https_%2F%2Fs3-us-west-2.amazonaws_22.jpg could not be moved/copied because no file by that name exists. Please check that you supplied the correct filename. A state election is taking place in Bavaria today which should be a key test for Chancellor Merkel's political future, and could result in a political landslide in the state that holds 16% of the total German population and is responsible for more than 18% of German GDP. 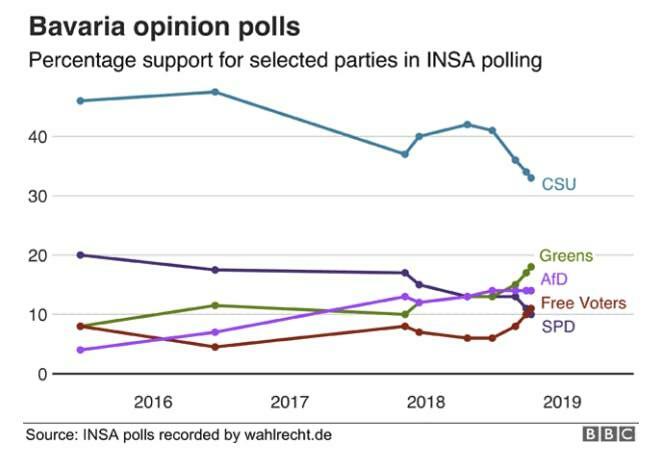 Polls indicate that both the CSU (the sister party to Merkel's CDU) and the center-left SPD will both lose votes, though most analysts expect the CSU to be able to form a government with other smaller parties (either the FDP and the Free Voters, or the Greens), which should give Merkel more breathing room in Berlin. She might be able to oust the more combative elements within her government, and could therefore gain leeway over asylum and European policy. According to DW, a CSU collapse could lead to Seehofer's resignation from Merkel's government, and conceivably Söder's exit from the Bavarian state premiership, which would remove two of the chancellor's most outspoken critics from power, and give her room to govern in the calmer, crisis-free manner she is accustomed to. On the other hand, a heavy loss and big resignations in the CSU might well push a desperate party in a more volatile, abrasive direction at the national level. That would further antagonize the SPD, the center-left junior partners in Merkel's coalition, themselves desperate for a new direction and already impatient with Seehofer's destabilizing antics, and precipitate a break-up of the age-old CDU/CSU alliance, and therefore a break-up of Merkel's grand coalition. In short: Anything could happen after Sunday, up to and including Merkel's fall. As ING echoes (full preview below), regardless of the outcome of Sunday’s elections, be prepared for a political landslide with a long-term impact on German national politics: a dramatic defeat of the CSU would first lead to an earthquake in Bavaria, foreshadowing future political developments and structural shifts at the national level; an unexpected comeback of the CSU would probably prompt a political landslide in Berlin. 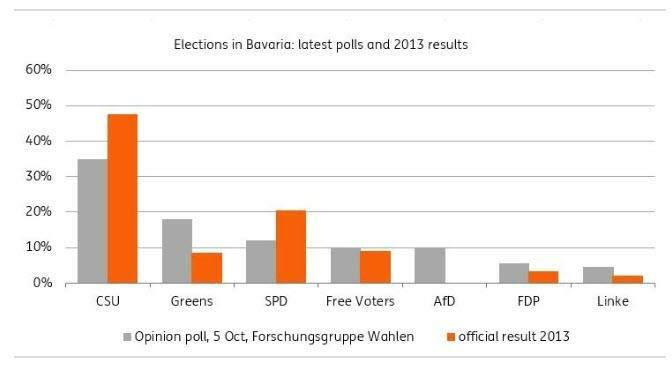 Below we publish a complete preview of what to expect, courtesy of ING Economics' Carsten Brzeski, who notes that Sunday’s regional elections in Bavaria could become an important milestone, either imminently or in the future, and that the result will be a "political landslide - one way or the other." 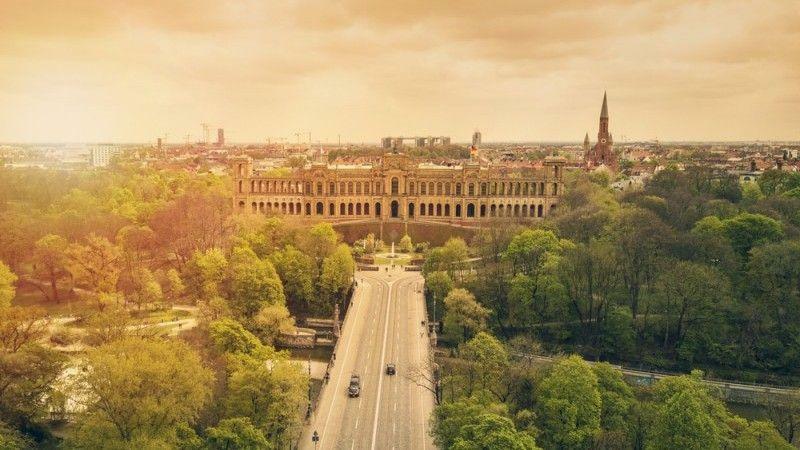 Since the start of the new government in March this year, German politics have been hijacked by the forthcoming regional elections in Bavaria. In a bid to defend its absolute majority in Bavaria, the CSU (the sister party and coalition partner of Angela Merkel’s CDU) has been openly criticizing Merkel, starting several inner-coalition conflicts which almost led to a collapse of the government. In June, the CSU and CDU clashed bitterly over the issue of whether or not German police should be allowed to turn back refugees at the German-Austrian border, even forcing Chancellor Merkel to convene a special European Summit. For much of September, both parties were in an almost permanent fight over the fate of the head of the domestic intelligence service. When Bavarians go to the polls this Sunday, many observers hope that political tensions in Berlin will ease. They could be wrong. Regional elections in Germany often leave a mark on national and international politics. Just think of the election in North-Rhine Westphalia back in 2010, which led to a rule-changing delay of the very first Greek bailout package or the series of SPD defeats at the start of last year, which turned Merkel contender Martin Schulz from party savior to disappointing failure within only a couple of weeks. Regional elections can always be a kind of confidence vote on national politics, a vote on pure regional issues, parties and the main actors or a combination of both. Very often the interpretation of what drove the election results only comes after Election Day.